As the U.S. CEO beBee.com, a new professional social networking site with over 11 million worldwide users (Bees), I give a lot of thought to social media and networking. Since my goal is to get beBee to 100 million users, I am most interested in is what causes people to connect with each other and interact. At beBee, we have a different approach than our big competitor, LinkedIn, to social networking. On LinkedIn, you connect with people you know. The content in your feed is based on those connections. You see what they post - whether it's relevant to you or not. Which is a factor in why Linkedin is running less than 25% of users on the platform monthly and why many fear getting a connection request from someone new. We ask ourselves why the heck is this person connecting with me? What do they want from me? On beBee, we drive connection and engagement through passions, hobbies, personal and professional interests. You can find other individuals with the same interests as you and then you can create a dialogue over that commonality. This is what we call affinity networking - a connection based on common interest. Affinity networking allows for connection with people you don't know - with a mutually beneficial reason to form this connection. And there is a greater likelihood that this new connection will be deeper and more successful. Furthermore, on beBee, since you are connecting with people of common interests and participating in open groups (Hives) that are of your choosing, your feed will only contain relevant content to you. The conclusion I have come to is that this is what is driving 45% of our Bees to be using beBee every month - that's 20% higher than Linkedin! A social networking site is going to be valuable to people if it provides a platform that is both natural to use and helpful in establishing new meaningful connections. After all, isn't that the purpose of networking?! What I have come to realize is that beBee has created an environment where networking occurs the way humans naturally want it to. I use the following two recent examples from my own experiences. I was in a New York coffee shop discussing with my publicist the book I am writing about my journey through 20 years as a single-father of 5, "Man-Up." Sipping coffee next to me was a gentleman who turned to me and said, "Your book sounds amazing and will greatly help men in their lives. I'm Dr. Geo, I am also a father, a Men's Health Doctor from NYU Langome Medical Center and these issues are important to my patients and me as a father too. 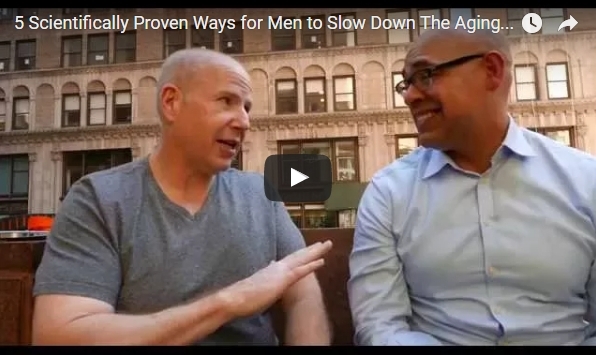 Networking Success: We produced a video together on Men's Issues, from which I wrote a viral article in The Good Men Project, "A Single Dad of 5 Discovers 5 Scientifically Proven Ways to Live a Longer and Healthier Life." I took his head-shot for him to use on his website and we have become friends. It was late in the afternoon this past Saturday and I headed to watch the sunset over Jersey City, New Jersey from the Hudson River waterfront. 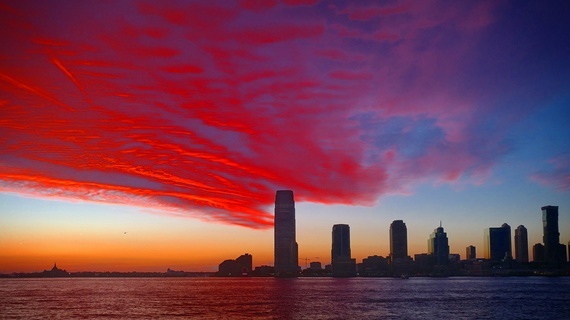 As a Lumix sponsored photographer, I have made part of my repertoire, taking sunset pics here in New York. (Instagram @msweetwood). I noticed a woman sitting on the bench next to me, who seemed to be interested in my picture taking. I causally (and suavely) said to her, "The sunset is beautiful tonight." She responded, "it's dazzling. I don't come here often but I love sunsets." We agreed to connect on social media. She is the inventor and purveyor of RestoPresto® - An innovative small pouch which converts into a multi-functional soft blanket. We are exploring ways to work together with her social outreach on beBee. And we'll meet again to watch the sunset. These in-person networking opportunities blossomed into more successful connections because we found common interests and passions, which build rapport and deeper connection. beBee is the first social network that allows you to do that online. I hope you'll give beBee a try. We're free for everyone, so you have little to lose and an excellent opportunity to be more successful.